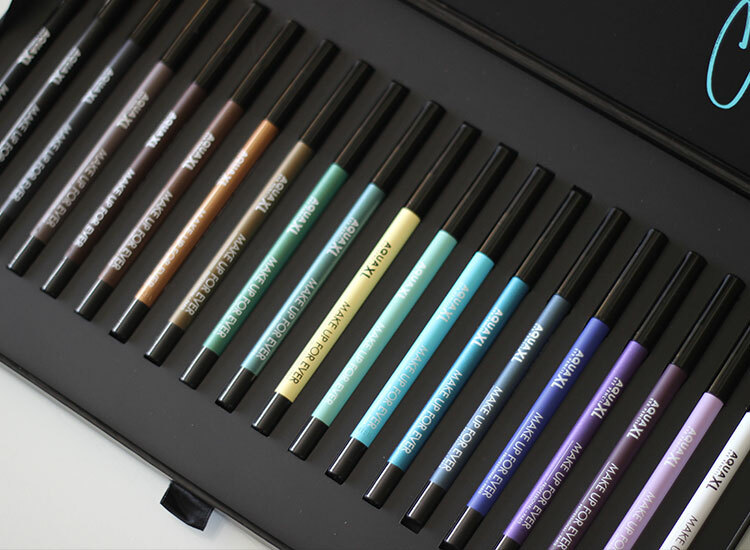 Make Up For Ever has just come out with their Aqua XL Eye Pencils*, a new line of 20 ultra creamy, ultra pigmented and ultra long-lasting waterproof eyeliners. As you can probably guess, my jaw dropped to the floor when this surprise package from Make Up For Ever landed on my doorstep! Not only that, but the brand collaborated with British pop singer Charli XCX (aka my twin from anotha motha - we were born on the exact same day and year!) who is the face behind this latest release and who put these eye pencils to the ultimate wear test: stage performance. If you thought you had found your perfect eyeliner formulation, think again because these will blow your mind. And I'm about to show and tell! If you love experimenting with bold colours, this line has a variety of blues, purples, greens and even a yellow, khaki and bronze, while also including staple shades such as white and a few hues of brown and black. I think it would have been nice to see a few more bright shades such as orange and pink instead of having 3 variations each of brown and black/dark grey, but apart from that I think this selection is still very appealing to the eye. 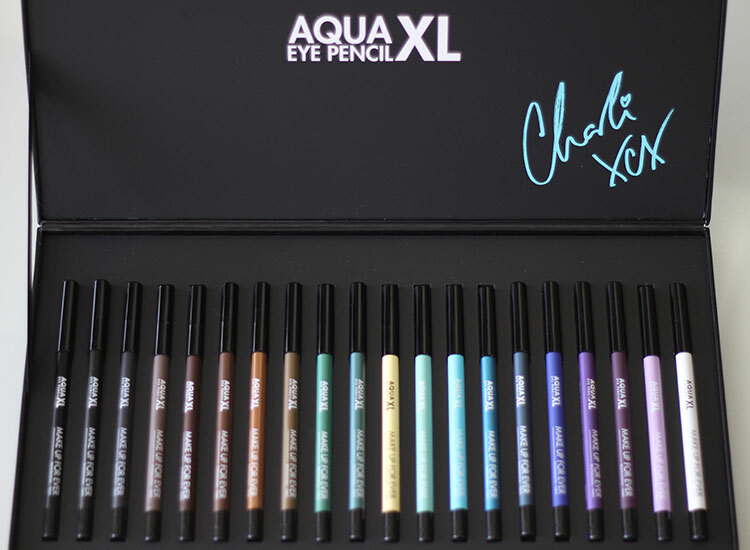 The main difference with the Artist Liners is that the Aqua XL Eye Pencils are waterproof, and despite thinking the former were already pretty amazing, these new ones have just taken applying eyeliner to a whole new level. 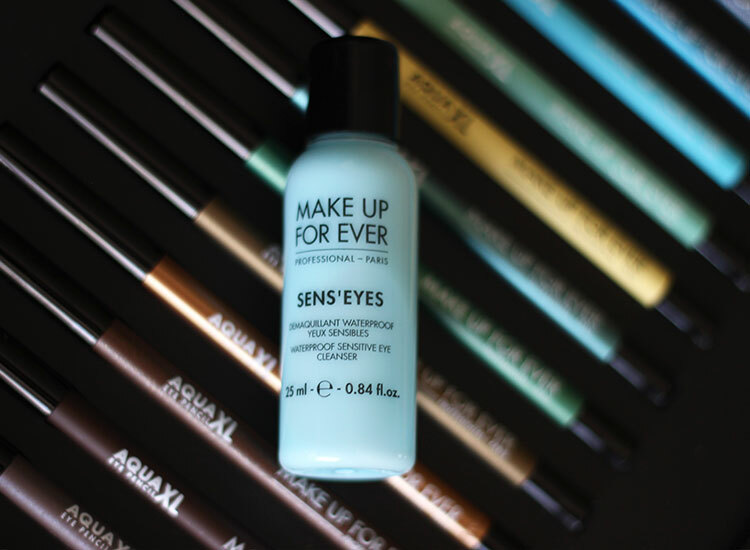 To remove, you will need a waterproof eye makeup remover such as SENS'EYES* from Make Up For Ever. I have also found that some micellar waters, such as Bioderma's Sensibio H2O, also do an excellent job. While I usually rely on coconut oil to help remove my eye makeup, I was actually shocked to find out that it cannot dissolve these Aqua XL liners - unprecedented in my makeup removing experience! As you will see in the video below, I swatch all 20 shades and show you just how smudge proof and creamy these are - no tugging at the skin whatsoever and I am barely applying any pressure! Pain free application? Yes please! 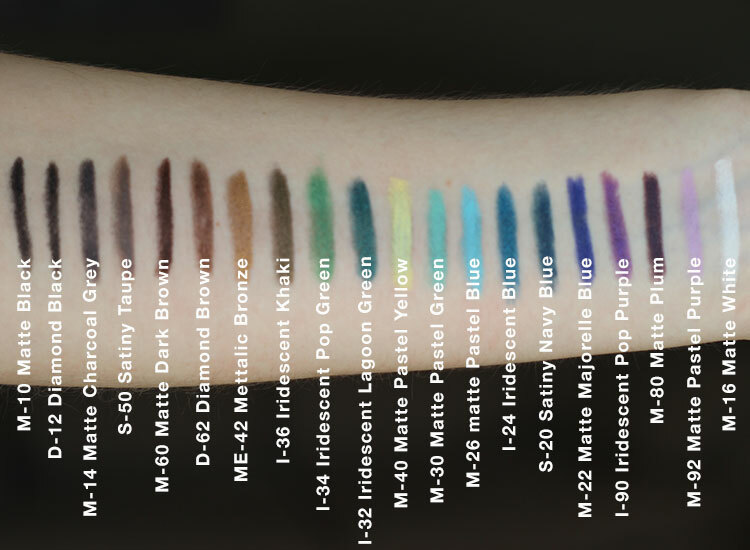 Below you will find the swatches of all 20 Aqua XL Eye Pencils, aka my rainbow arm. 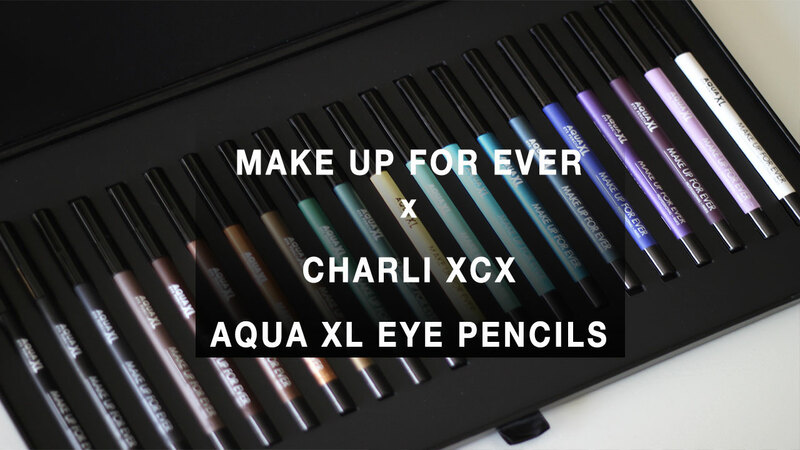 The Aqua XL Eye Pencils (C$25.00, US$21.00) can be purchased at Sephora and at Make Up For Ever Boutiques. Will you be picking any of these up? Let me know which colour you would like to see me use in an upcoming look/tutorial! Those colours are stunning! Thanks for swatching them to give us a better idea of what they look like. I agree that an orange and pink would have been nice too but these really are fabulous. I want the Pop and Pastel greens! These are gorgeous, love all the colors!